Teresa Wentzler is known to advanced stitchers for her delicate shadings, bead embellishment, and over-one-thread details. Legions of her fans will rejoice at the sheer beauty of this Christmas Collection. 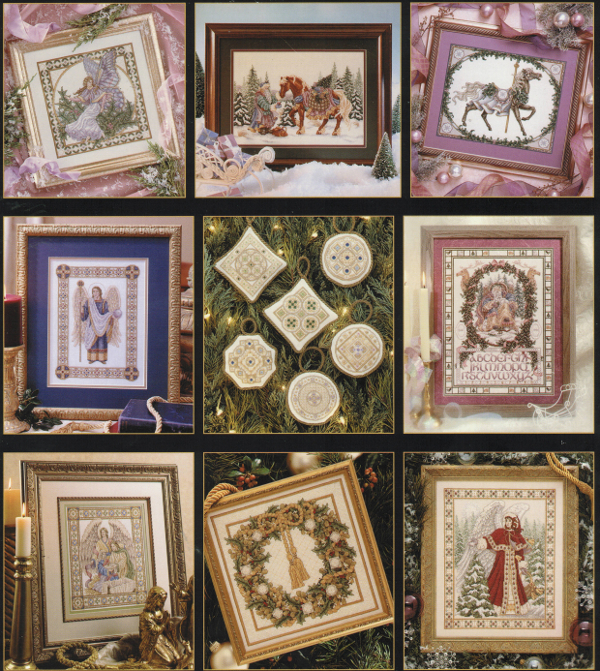 Most of the designs which include Santa and elaborate ornaments as well as religious themes like Angel Procession have been out of print for several years, making this Christmas collection particularly tempting. Soft cover book. 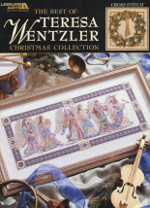 96 pages containing 10 Christmas/Winter designs: Angel Procession, Winter Faerie, Companions, Winter Carousel Horse, Gabriel, Byzantine Ornaments (a.k.a. Stained Glass Ornaments), Father Winter, Nativity, Christmas Wreath, and Angel of Frost.